Looking for a glam, hygge accent in your home? 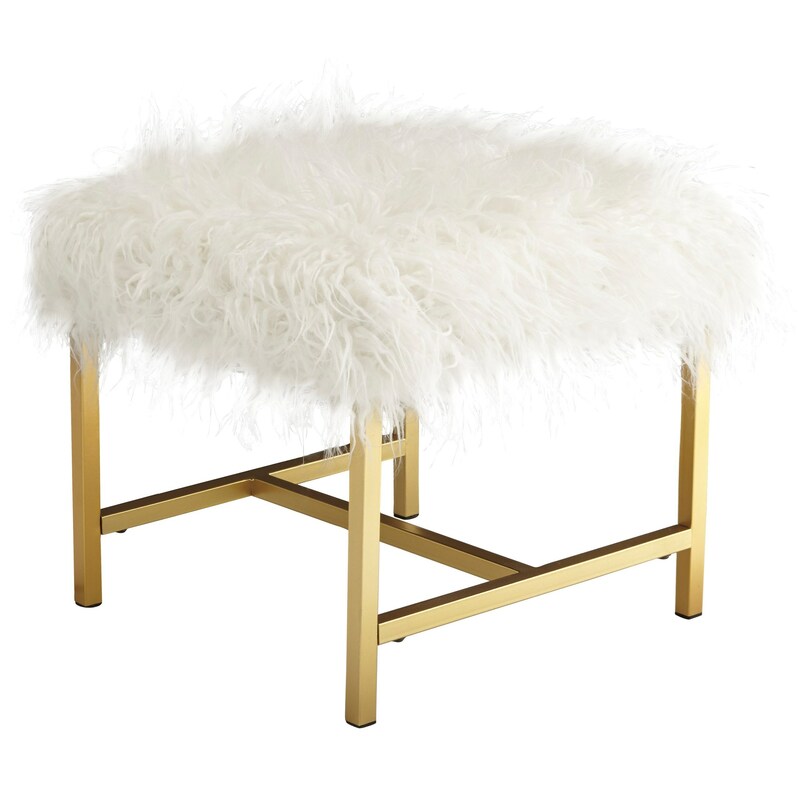 You will love this versatile stool with a faux white fur seat and simple legs in a gold finish. Use this piece on its own or in sets of two as a bench or ottoman. The Elissa Stool with White Faux Fur and Gold Finish Legs by Signature Design by Ashley at Household Furniture in the El Paso & Horizon City, TX area. Product availability may vary. Contact us for the most current availability on this product.